There are so many appealing factors of the new Peugeot 508 Saloon, which is available to order at Motorparks today. The car’s exterior design is brimming with vigour and style, for one, which can be seen in everything from its vertically oriented front grille to the purposefully redesigned bumpers, which grant the whole vehicle a more substantial feel. Step behind the wheel of any of our new Peugeot 508 Saloon cars and you’re also sure to be impressed by the high-quality car-to-ground connecting components, which function to provide drivers with a uniquely enjoyable driving experience. 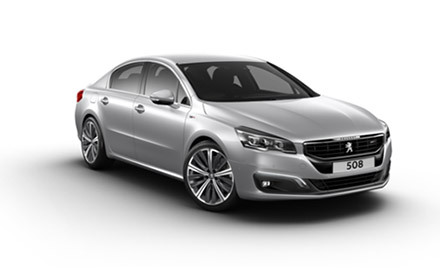 Make an enquiry about the new 508 Saloon online today, or see the car for yourself by calling into our Peugeot Warrington Motors dealership.